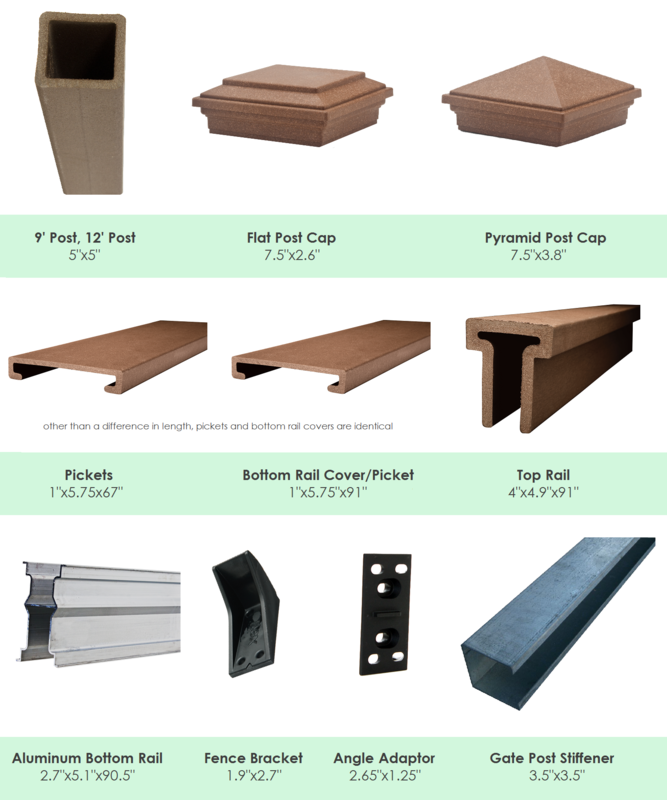 Posts are typically set in concrete and the brackets are fastened by accompanying 1-5/8 in. wood screws. The concrete can be purchased at most local building materials stores. The fence is designed for 8’ sections (center of post to center of post). Shorter lengths can be made by cutting material as would be accomplished with lumber. 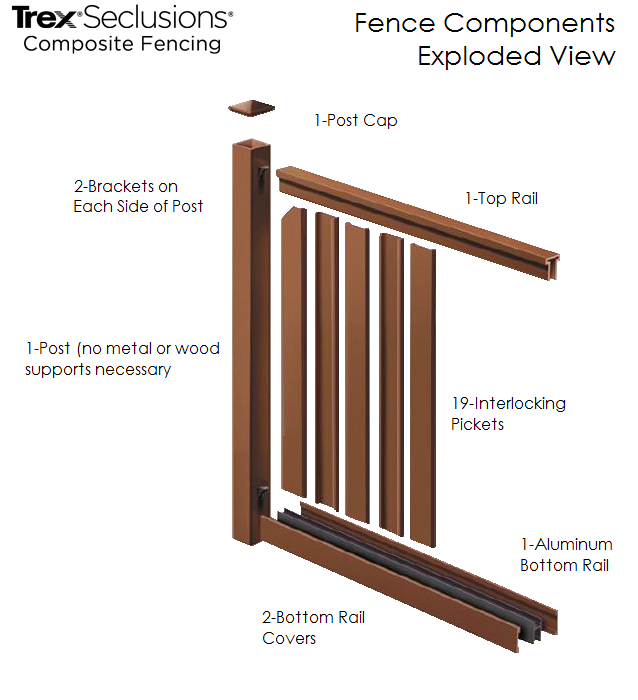 The smart design of the interlocking picket system means only 24 total fasteners are required per section allowing for rapid assembly.